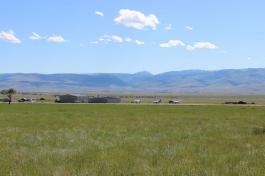 Lot 19-A is a great lot just 1 lot from the runway, on a grass taxiway with spectacular views near the Lee Metcalf Wilderness. Ideal place to live with your plane or purchase adjoining 4-ac lot that borders runway for your hangar. 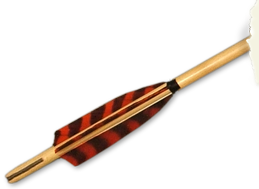 Perfect for fly-in/fly-out vacations or year 'round living. Close to Nat. 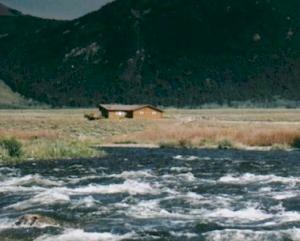 Forest for hunting and great fishing on the Madison River. 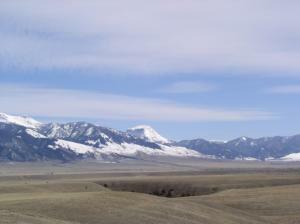 Provides great access to resorts at Big Sky and the whole Madison Valley. FAA Identifier, EKS. http://www.airnav.com/airport/keks. Lot 20-A is a 4+ acre lot BORDERING the runway, on a grass taxiway with spectacular views near the Lee Metcalf Wilderness. Ideal place to live with your plane or purchase the adjoining 10-acre lot and build your cabin or home near your hangar. Close to Nat. 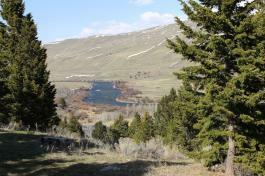 Forest for hunting and great fishing on the Madison River. Provides great access to resorts at Big Sky and the whole Madison Valley. FAA Identifier, EKS. http://www.airnav.com/airport/keks. Hollowtop Vista Heights is a small subdivision of just 17 lots, just one mile south of Harrison a small ranching community with good schools. An easy commute to Bozeman. Great views in all directions. Power to the lots. Year around access. Lot 1 is a nice 1.68-acre lot bordering common area, with farm land on the east and west sides. Close to Harrison Lake and National Forest just 9 miles west. Lot 6 is a 1.5-acre lot. Lot 7 is a 1.58 acre parcel. Indian Ridge is a great new subdivision with spectacular views from the top of a hill overlooking the golf course, Ennis, the valley and mountains in all directions. This first-class subdivision of 11 premier lots has underground power, phone, paved roads and excellent protective covenants. 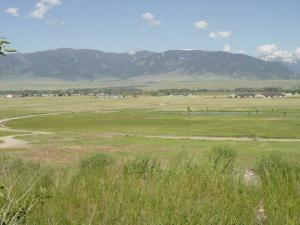 Great Subdivision, with spectacular views overlooking the golf course, town, valley and mountains. This is a first-class subdivision of 11 lots with underground power, phone and paved roads. Excellent prices and protective covenants. 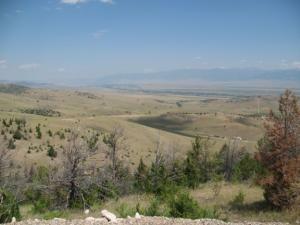 Great corner lot, at the highest point with spectacular views. View of Ennis Lake, the valley and the mountains all around. Lot 8 is THE BEST LOT in Indian Ridge, with spectacular views of the valley, mountains and Ennis Lake. This lot sits out on a bench and feels quite private. 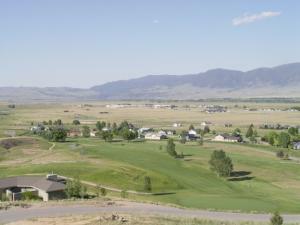 Great new subdivision, with spectacular views overlooking the golf course, town, valley and mountains. This first-class subdivision of 11 lots has underground power, phone, paved roads and excellent potective covenants. 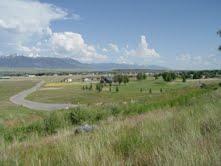 Great lot in small subdivision of just 12 lots overlooking golf course, town and the valley, with spectacular views. From its headwaters in Yellowstone National Park to its confluence to form the mighty Missouri, the Madison River is world famous among anglers as America's premier wild trout fishery. 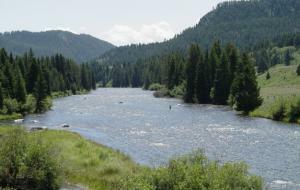 The Madison flows through some of the most spectacular, wild and scenic landscapes in Montana. 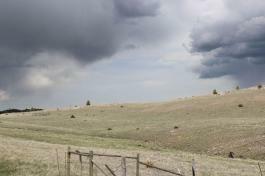 Its valley, encompassing nearly a million acres, is home to abundant wildlife, sweeping vistas and open spaces. The Madison River features superb dry fly fishing even for first-time novices; it has very high trout density per mile and it offers consistent fishing action. 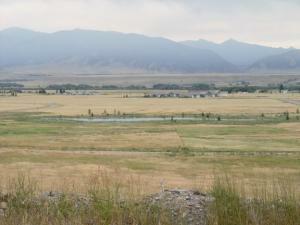 Property along the Madison River is always in demand and there are very few subdivision lots on the water. 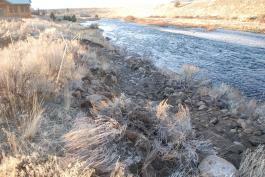 Most of the land along the Madison is public land or large ranches, so supply and demand dictates the market value of the few river properties which do come available. 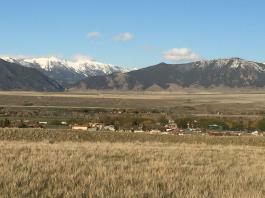 There are properties along the Madison River throughout the valley, from Ennis Lake to Quake Lake. 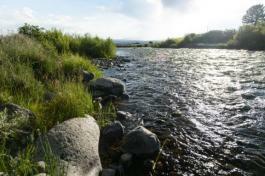 Lot 15 is currently the least expensive lot for sale on the Madison River! Ready to build on - has been excavated and sale includes approx. $75,000 worth of site plans including architectural drawings for a 3,240 SF custom log cabin, Geotechnical Report, Storm water permit and wastewater report. This is a great lot on a great fishing spot in a great river. Build your dream fishing cabin. The Moore's Creek Area is located on a small bench, just west of Ennis, overlooking the town, the golf course, the valley with views of Ennis Lake. It is close to town, but in the country. A paved road leads to several small subdivisions on this bench, just minutes from town. They all offer similar amenities and prices. Mine your own gold on this patented mining claim of 18+ acres, surrounded by BLM land, located in premier 380 Hunting District, close to OHV trails, fishing and public lands. Spectacular views, privacy, wildlife, good access and seasonal creek runs through edge of the proprety, and NO covenants! Pronghorn Meadows is a newer subdivision with excellent roads, an equestrian center, a community clubhouse, lots of open space and wildlife corridores. Underground power and phone to every lot. Strong covenants protect your investment. Located just a few miles SW of Ennis, you have the convenience of living close to town but in the country. Lot 26 in Pronghorn is a nice, 2.69 acre, corner lot with underground power & phone, just one lot off the highway, so convenient to Ennis, just 5 miles away. Great views. DEQ requires a pressure dosing septic system on this lot. details available. 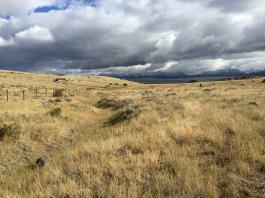 Lot 136 is nearly 10 acres of remote beauty in the NW corner of Shining Mountains I. 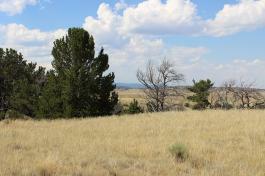 This elevated lot with spectacular views would be a great spot to build your private "off the grid" cabin. Shining Mtns. Lot 321 is a great view lot with power and phone at the road and good year around access and partially fenced. 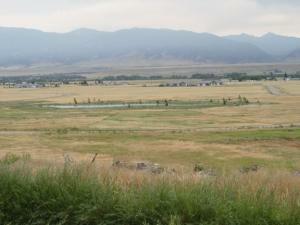 Lot 9 is a nice 5-acre lot near the National Fish Hatchery, with spectacular views of the river, valley and mountains. GREAT BARGAIN! Lot 238 is extra-large, 9+ acre lot with great views from ideal building spot on top of the ridge and nice open area below for your barn. Close to Axolotl Lakes Road with easy access to Nat. 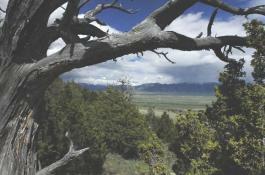 Forest and BlM land. 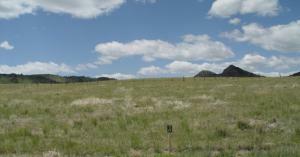 Lot 119 is a great 6.5 acre lot with great views, phone on the lot and power at the SE corner of the property. at the road, in a great location. There is a nice draw along the western boundary that adds character to the property. 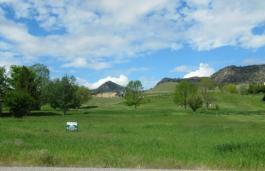 Nice elevated lot in great location with wide views of mountains & valley. Has a 265' well with 20 gpm! No problem with water! Power lines go across southern boundary - so no problem hooking up to power. Good access in a great location. Lot 195 is an extra-large lot of 11.177 acres on a nicely sloping hillside with spectacular views of the valley and mountains, nearly end-of-the-road privacy and power close by. Perfect lot for building a home with a walk-out, daylight basement. Great price per acre! Lot 60 is a premier property on the edge of a bench overlooking and bordering a year-around creek and the Bar 7 Ranch, with unobstructed views for over 50 miles! Beauty and wildlife in the canyon below. Great spot for building your dream home. 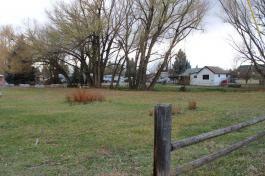 Adjoining 5-acre lot is also available, for more space & elbow room. Sky View is a new, well-planned and perfectly located, affordable, residential subdivision, just north of Ennis, consisting of 84 lots from 1 to 3 acres. 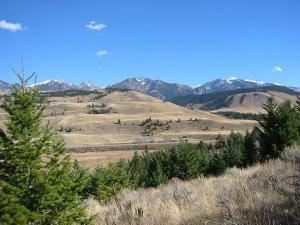 All lots enjoy spectacular views of the Madison Range, 3 park ares with a trail system, recreational ponds, cart path to Madison Meadows - a 9-hole golf course, underground utilities, good protective covenants, plus septic and well approvals. Some lots will require elevated sand mounds for septic systems. This project is just 2 miles from town, but a country setting. Lot 27 is a great 1.38-acre lot bordering the common area park and pond. Located in a nice part of the subdivision with great views. Price reduced! 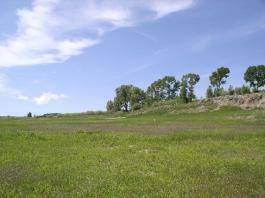 Lot 29 is a great Sky View lot, bordering a large pond, near the golf course access. 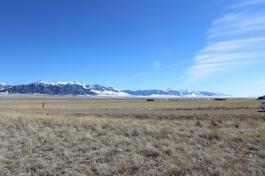 Wide open views of the Madison Range. Just 5 minutes to town. Great Sky View lot bordering large pond and close to golf course access. Sun West Ranch is a 2,000 acre ranch development that encompasses a variety of terrain, from gradually elevating benches to timberred mountains and alpine meadows. Originally a working cattle ranch in the 1800's, the ranch still retains its charming, back-in-time feeling, including some of the original homestead buildings. Each homesite was carefully chosen using criteria to optimize views and maintain privacy and each homesite is surrounded by common area to separate it from other lots. 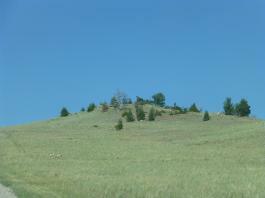 The property is protected by strong covenants and conservation easements. 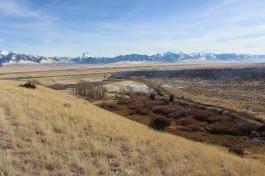 Approximately 1,600 acres of the 2,000 acre ranch is common area for the private use of all SWR owners, with several miles of Madison River frontage for their use. 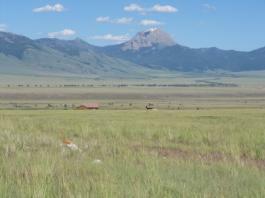 The ranch amenities include an equestrian center, onsite ranch managers, wells, underground power, phone and privacy. Feel like you own a ranch, but without all the work! Sun West Ranch Lot 16 is a wonderful lot in this exceptional subdivision, with spectacular views of the Madison River and the Madison Range beyond, large trees and privacy. 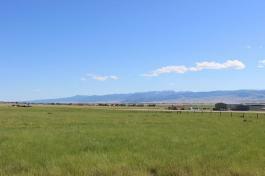 This 6.931-acre lot is located in Phase II. Ennis is a quintessential western town complete with a hitching post or two. Located in the Madison River Valley, near the old ghost town of Virginia City, Ennis it replete with enough historical lore to give visitors a vivid glimpse into a past chockfull of Cowboys and Indians. Ennis is a town in Madison County, in the southwestern part of the state. The population is approximately 1,000 at the last census. 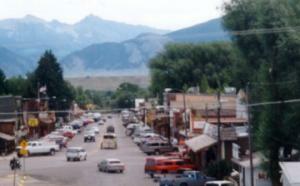 US Highway 287 runs through town, following the Madison River as it descends from Yellowstone National Park. Just downstream from town is Ennis Lake, formed by the Madison Dam. The town has just about everything you need with great shops, good schools, spectacular setting surrounded by mountain ranges. 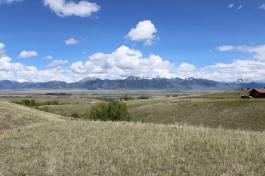 Bozeman, a city of approximately 87,000, is one hour away with all the things a city provides. Ennis is a great place to live, work and raise families plus it is a very popular vacation spot with unlimited recreation all around. Exceptional property just 1 block off Main Street, zoned Mixed Commercial/Res. District, allowing small commercial shops and services, compatible with residential. Beautiful lots with large cottonwood trees lining Moore's Creek which winds down through the middle of the lots, south to north. The property is in the 100 year Moore's Creek Floodplain and the city of Ennis can regulate what can be built. Flood insurance may be required for this property. The Valley Garden Golf Village is a nice development around a 9-hole, county golf course. Water is provided to all lots from a common well. Property owner dues are $150 per year for vacant lots and $300 per year with a home. All lots have great views, are close to town and enjoy the convenience of being right on a beautiful golf course. The main roads through the development are paved. Go to http://www.madisonmeadowsgolfcourse.com for information on the golf course. Lot 53 is in a great location on a cul-de-sac, off a paved road, bordering the second Fairway of the Madison Meadows Golf Course. It has great views and easy access. The adjoining lot 52 is also available. Discount for both. Great lot with spectacular, elevated views of the valley and the mountains, end-of-the-road privacy, nice sloping lot that lends itself to a home with a daylight basement. Has water, power and phone to the lot. Private septic system required. Drive your cart to the golf course. Close to town, schools, fishing + all the other wonderful recreational opportunities in the valley. Price reduced! This beautiful .53-acre lot borders the Madison Canal to the back, with great views, on a quiet dead-end street.